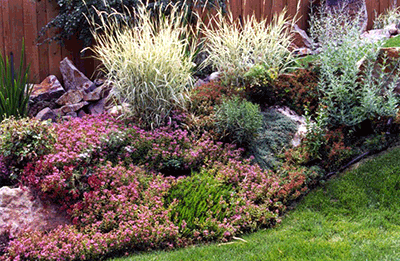 The Park City Landscape experts at MountainScape, offer beautiful and sustainable landscape design and construction services. 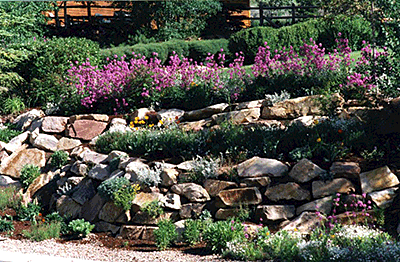 MountainScape designs and builds all types of Rock Work, Irrigation, Arbors, Water Features and Privacy Boundaries. MountainScape specializes in the aesthetic integration of all elements, for example: Spas, Sculpture, Barbecues, Playgrounds, Pet Areas, and more. Reach out to discuss your 2019 landscaping plans with us! We are experts in high elevation landscaping using native, ﻿drought-tolerant trees and plants,﻿ and harmoniously integrated hardscape design. When you visit our Heber Valley nursery, Earth & Eden, in Midway, you will receive expert advice on the selection and installation of viable trees and plants that thrive in the Park City and Summit County environment. You will also see our impressive selection of trees and plants, and unique and natural house decor in our one-of-a-kind gift shop. 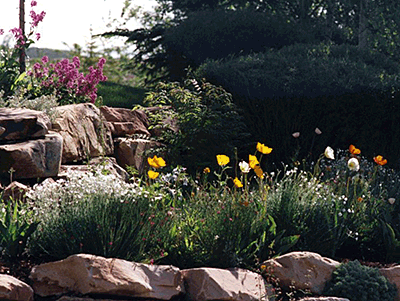 At MountainScape we are committed to sustainable, green landscaping principles and practices. Whether you are upgrading your landscape design or installing a new landscape environment, we invite you to look at the sustainable designs and professional workmanship offered by MountainScape. Call (435) 649-4989 to schedule an appointment. We serve numerous areas including 84060, 84049, 84098 and more.